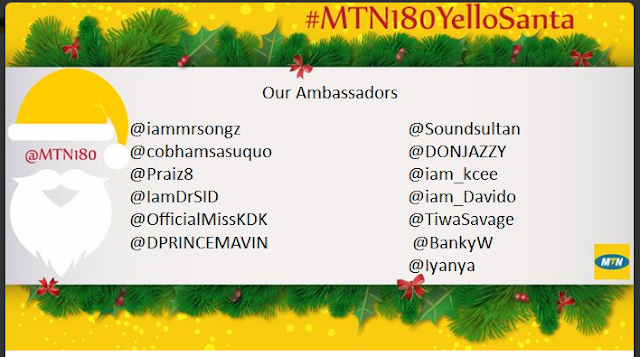 Its all happening on Twitter, its the MTN AMBASSADOR SANTA. 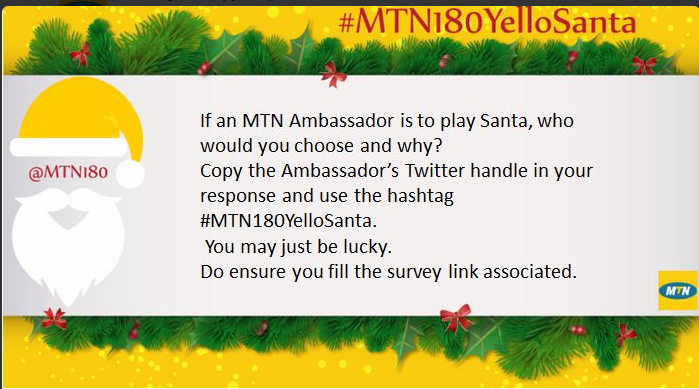 If an MTN Abassador is to Play Santa, who would you choose and why??? You may just be lucky. Remember to fill Survey Using the below form as you participate. Twitter handles of our Ambassadors.